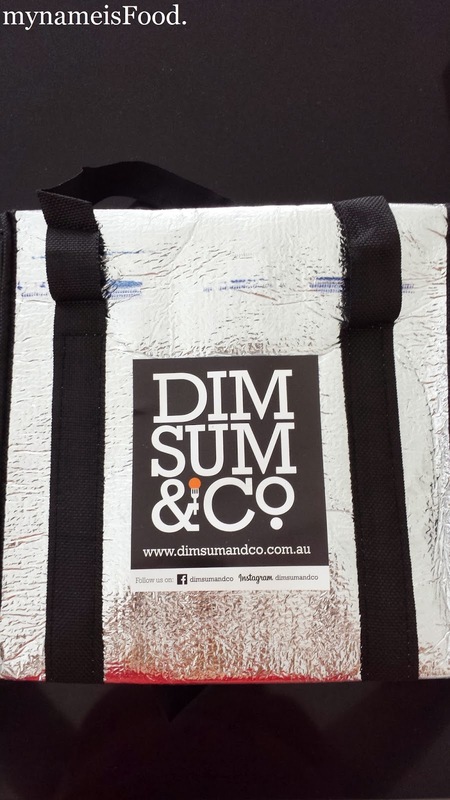 Dim Sum & Co. - my name is Food. 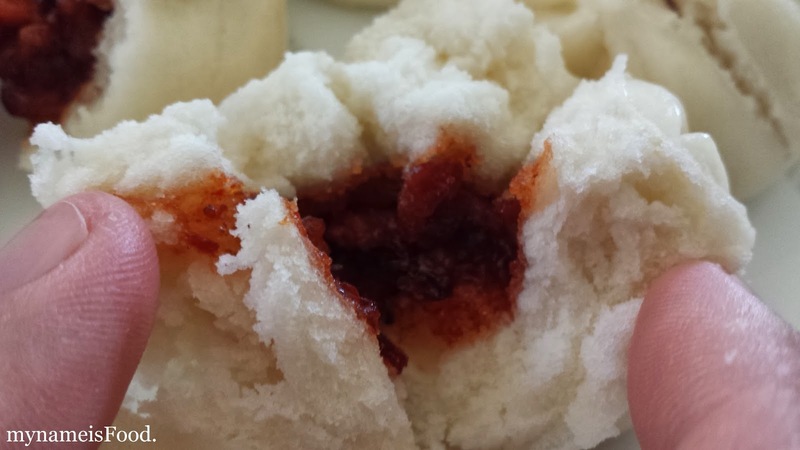 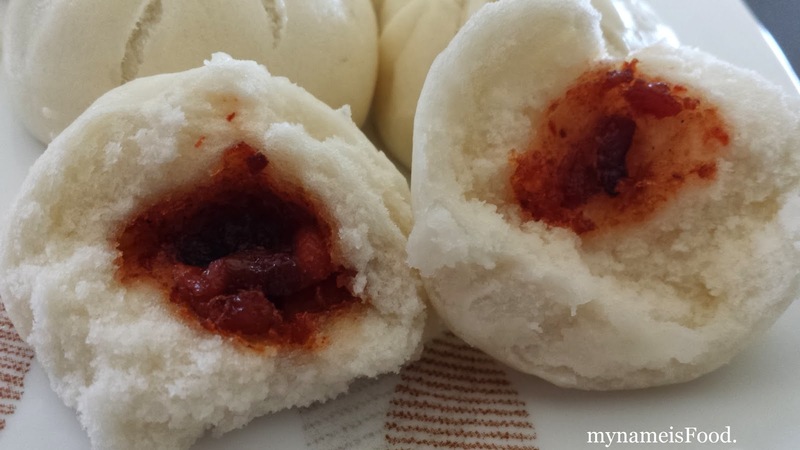 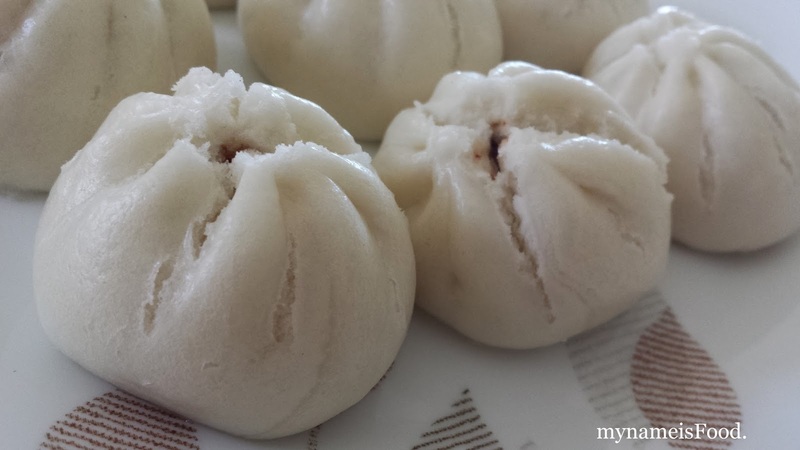 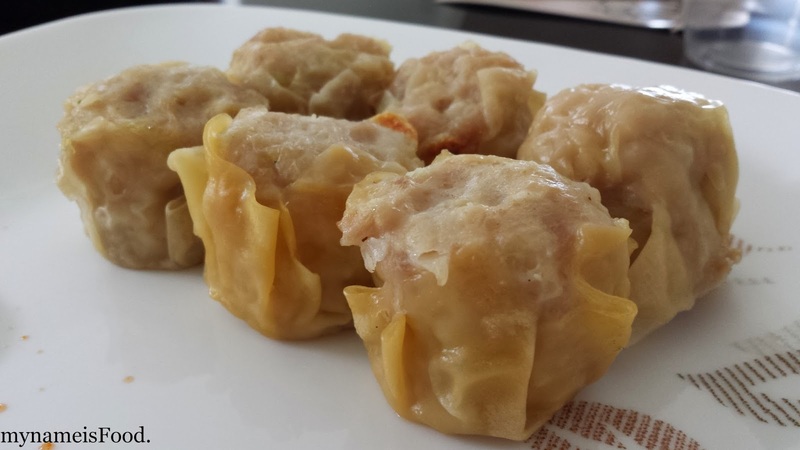 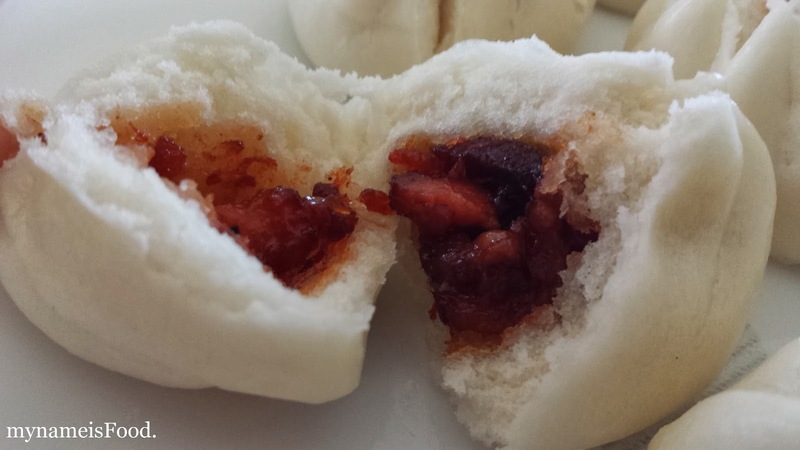 Ever thought of Yum Cha at home? 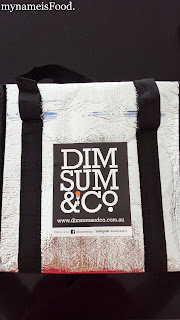 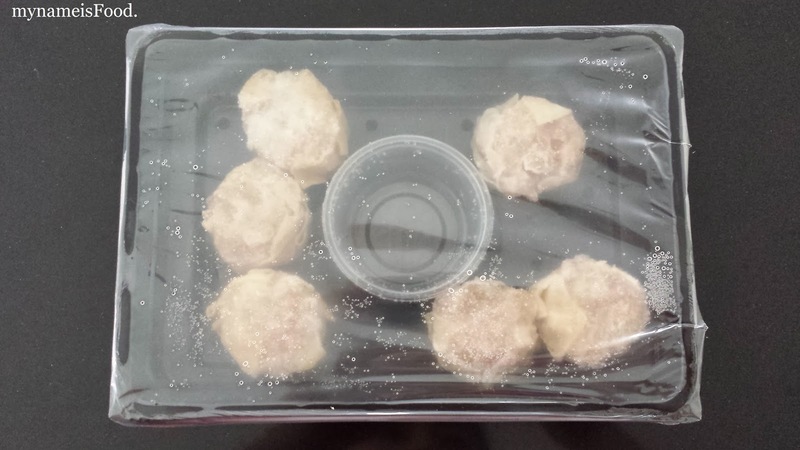 Ready made yum cha dishes that you usually order is now available in your home thanks to Dim Sum & Co.. Australian owned and made dim sum range is made from fresh ingredients with no MSG, no fillers and low in fat.. 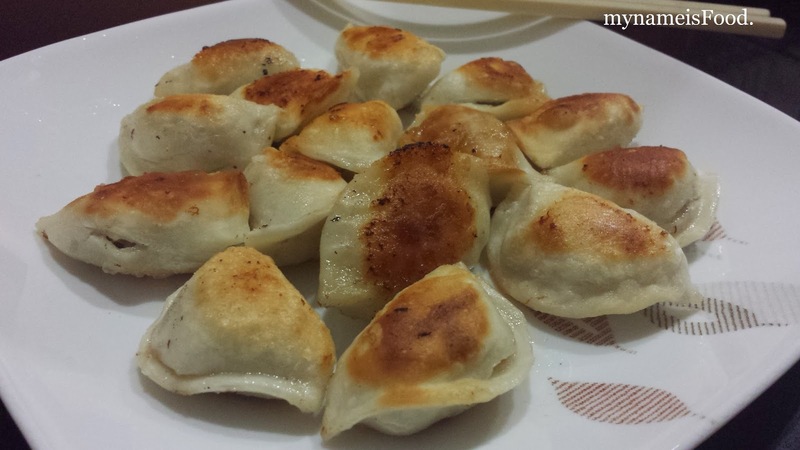 They are quick frozen which means that you can heat them up anytime quickly.. 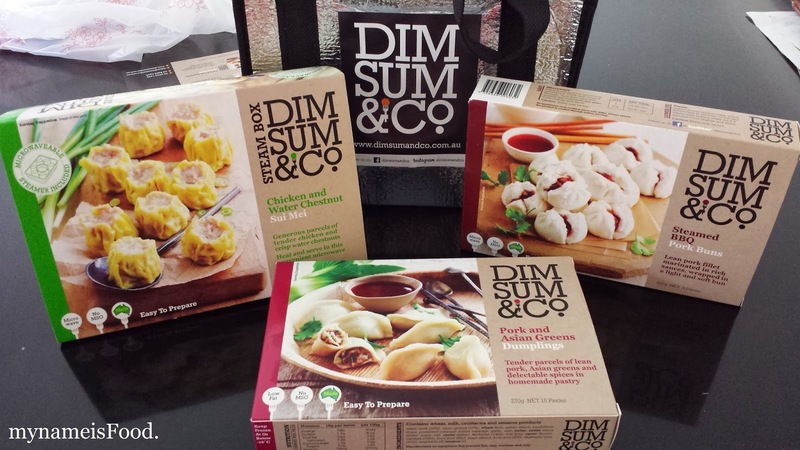 They have a range of spring rolls, siu mai, buns and dumplings to suit everyone's tastebuds.. 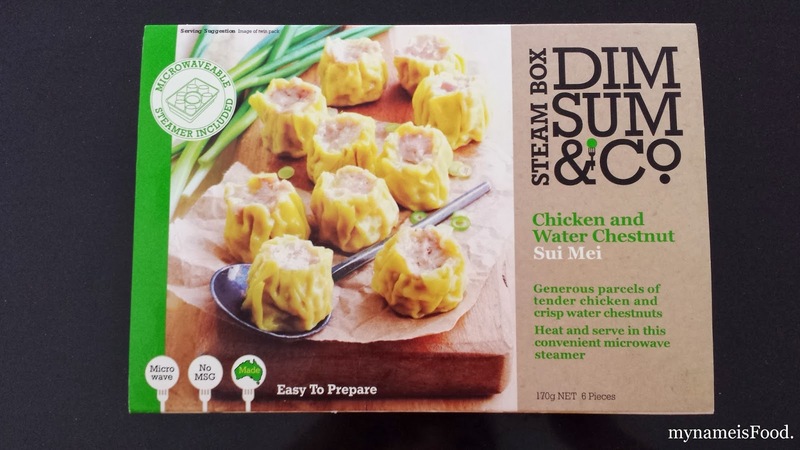 Delivered to my door the other day and I received a few of their products to sample.. 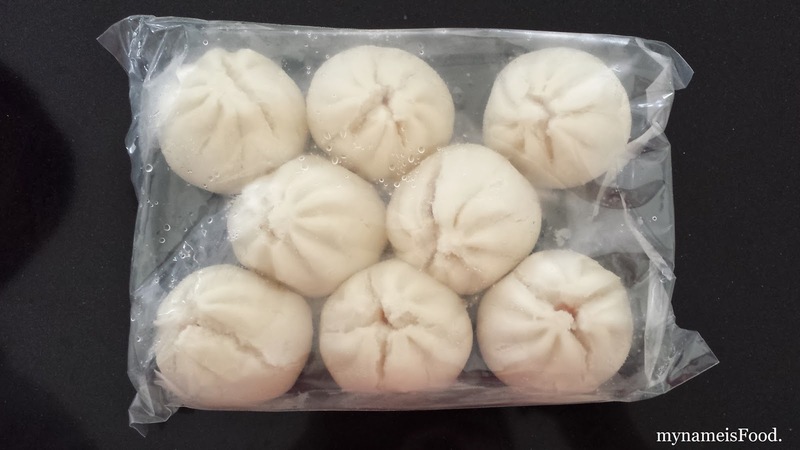 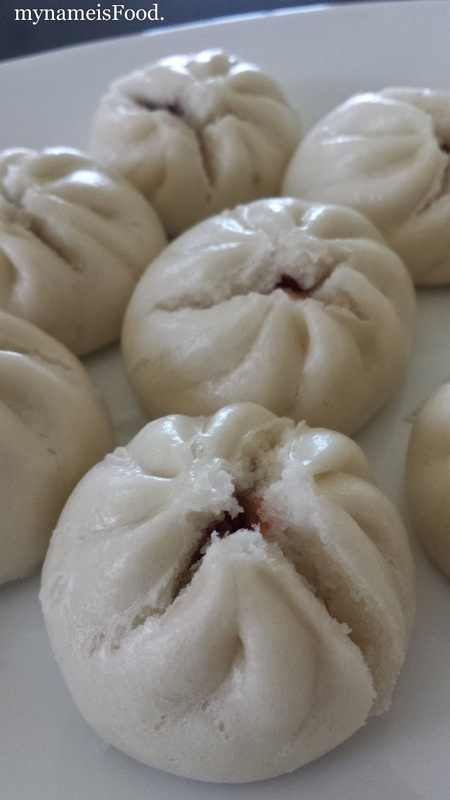 I received their 'Chicken and Water Chestnut Siu Mei', 'Steamed BBQ Pork Buns' and 'Pork and Asian Green Dumplings'.. 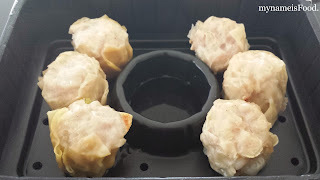 They have a range of six different types including the ones already mentioned and three other different types of spring rolls.. All are either microwaveable, oven-ready or fried or you can even use a sandwich press..
Firstly, we tried the 'Chicken and Water Chestnut Siu Mei', I found that the steamer box was very handy and much more convenient than the others.. 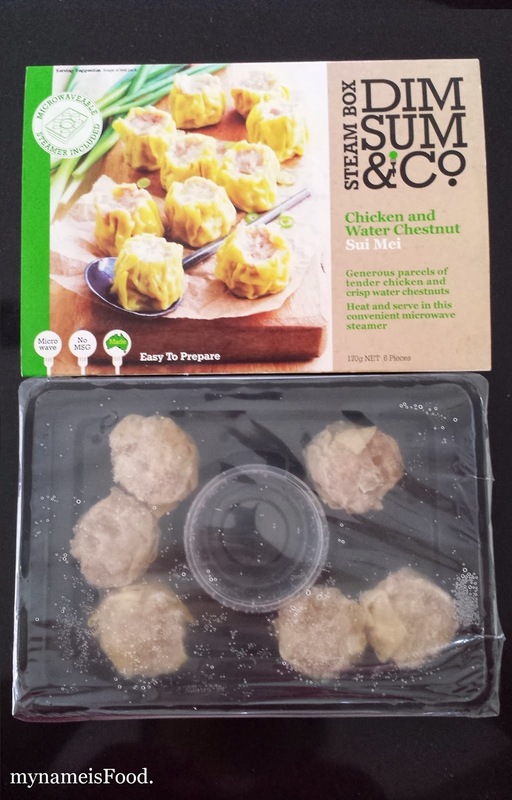 The Siu Mei came in a packet of 6.. Packaging looks very presentable, simple and eye catching.. The idea was that you put the water inside the steamer box whilst the little plastic bowl is for your chosen sauce after it has steamed.. At first, it might be best to thaw it just a little before actually microwaving it since then the upper top of the steamer would have waterish bits from the ice, well that's what I did anyway and I found that thawing it did help quite a little..
Outlook wise, the skin seemed to be not as moist or as soft as the usual, it looked abit dry and the colour was also abit off for me, since the usual siu mei would have a bright yellow coloured skin.. Taste wise, I found that it was not too bad with the taste of water chestnut is usually wonderful in both dumplings and siu mei.. However, F commented that he couldn't taste the chicken and it seemed as if it was just filled with mince and flour or such.. 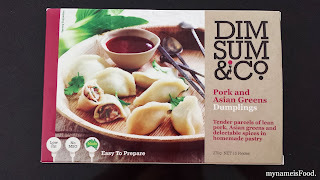 I think this was because the fact that the chicken had blended in with the mince mix so it has lost its flavouring quite alot..
Second dim sum that we tried was the 'Pork and Asian Green Dumplings' and one pack had 15 pieces of dumplings which I found to be a generous amount.. 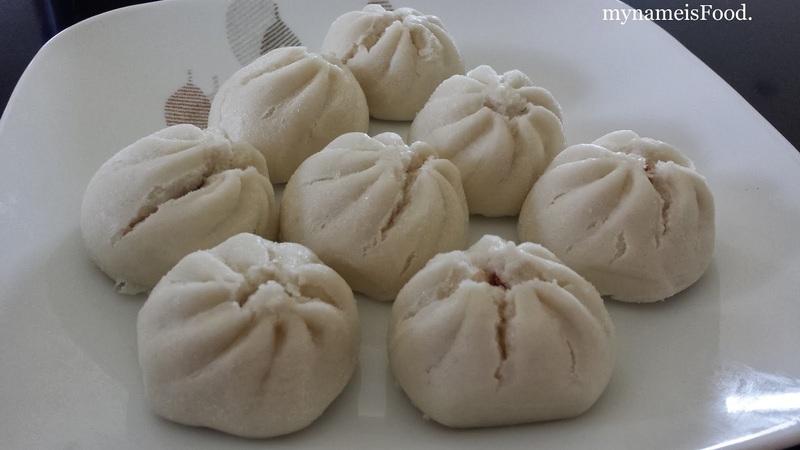 I'm a big fan of dumplings more than siu meis and when I saw it, yes they did get the dumpling shape right, however, something just felt abit off for me, maybe it was because the skin seemed thick for me from a first glance.. 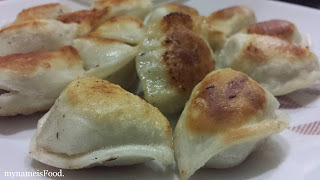 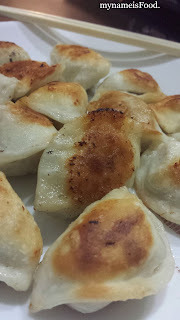 The dumplings took awhile to cook as we microwaved them a bit to get it not as hard as it was in the freezer, and when we started to pan fry them, it did take the longest to cook I have to say.. But I found that the filling of lean pork and asian greens were quite consistent and the spices was okay and blended in well..
'Steamed BBQ Pork Buns' came in 8 mini pieces which I found to be quite petite, but what I found was that the opening of the pork buns weren't as wide as some of the buns you would find around and also the skin looked very soft and smooth instead of the usual rugged look.. 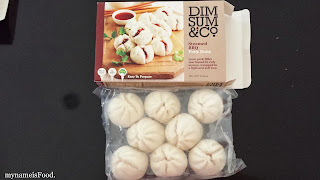 Came in a plastic sealed pack, same as the dumplings above.. We decided to microwave this instead of steaming it as we thought that steaming them would probably take longer... Out of the three dim sums, in restaurants I would probably consider the pork buns as my favourite however, this was different, I found that the pork buns weren't my favourite out of the three that we sampled..
After microwaving it, it came out plumpy and the crack opened up abit more and you could see abit of the pork reddish colouring on the bun cracks.. 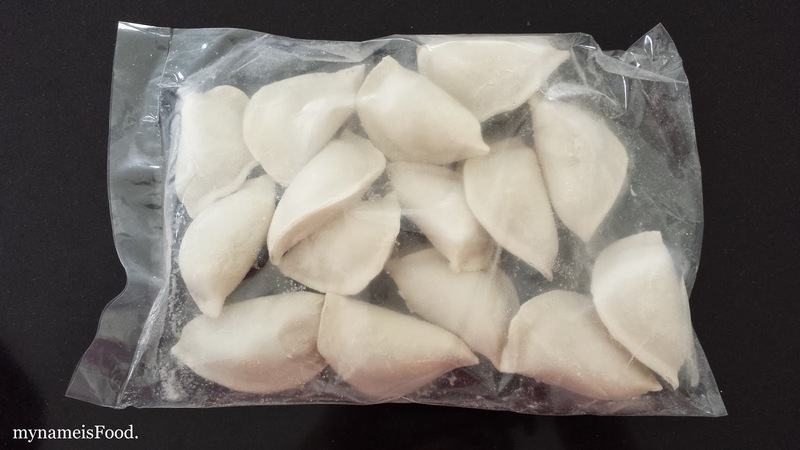 The skins were quite glossy after taken out.. The bun was soft which was nice to know that they have gotten the bun softness however the pork filling seemed to be inconsistent, as some of the buns seemed to have more filling than others.. 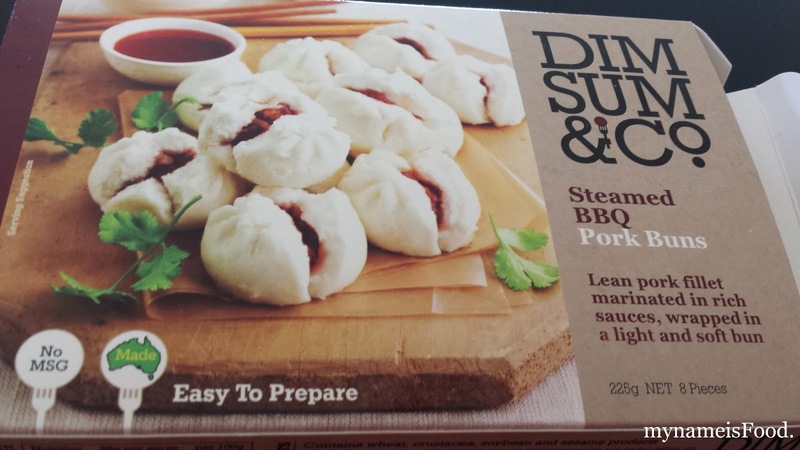 Some may only have one or two small pieces of diced pork, while some had more, or some may only have the saucy bit without the pork.. So that was quite dissapointing.. 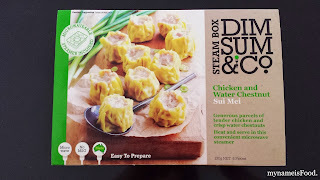 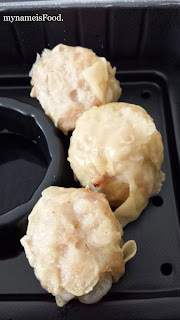 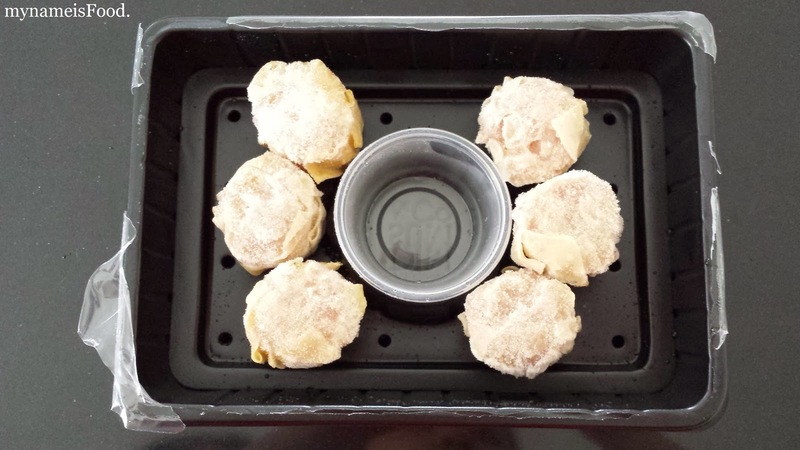 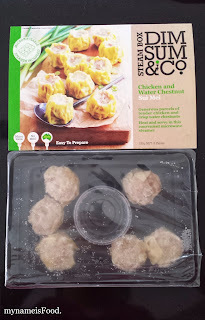 Overall, I thought that amongst the three, the best were the pork and asian green dumplings.. And although the steamer box was convenient and useful, the other dim sum had different packaging which only came in a plastic sealed bag and not a steamer box.. I haven't tried the other dim sum range ie. spring rolls.. 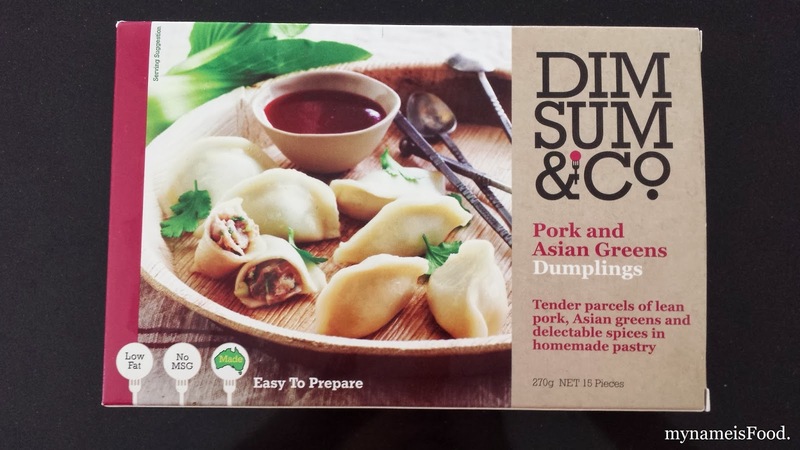 They are available in only particular participating stores such as James St Markets, David Jones, Gasworks, Marina Mirage just to name a few.. All ranges from $7-$10.. Give them a try next time you see them in the store, you'll be able to experience yum cha at home without having to go out to chinese restaurants and wait in the queue or wait till the food trolleys would come around your table..